The under eye area can be tricky to work with. I want good coverage, light-weight feel, and a long-lasting formula that looks fresh all day long. 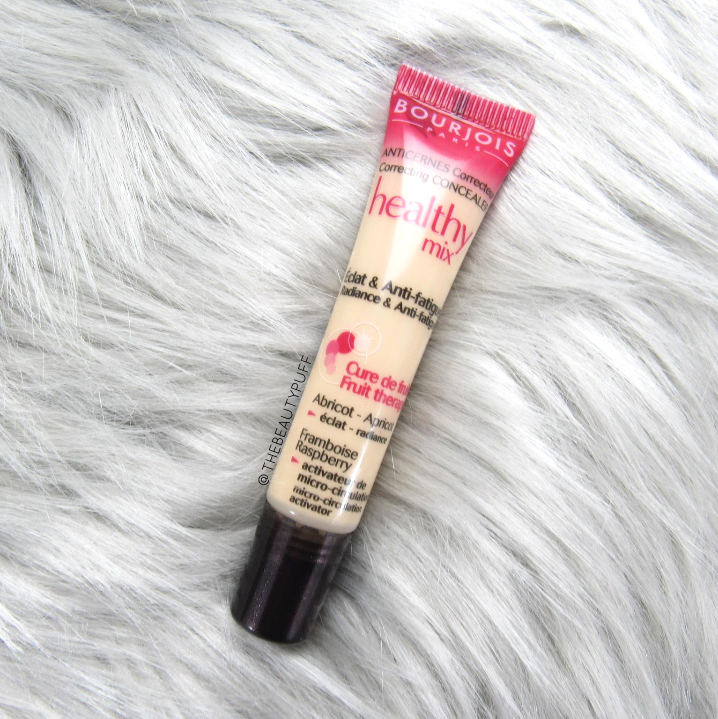 I've heard a lot of great things about the Bourjois Healthy Mix line, so when I saw they made a Healthy Mix Correcting Concealer I knew I wanted to try it. I definitely found a gem because I have been absolutely loving this formula! Whether I am putting on a full face of makeup or the most minimal amount possible, the under eye area is always on my "to-do" list. I want to look fresh and awake no matter what my day entails. This concealer not only covers really well, but is a breeze to blend out. The squeeze tube applicator is flat, angled plastic so I find that putting a bit to the back of my hand is the easiest way to start. I want the applicator to stay clean but I also don't want to apply too much, which may happen if I apply straight from the tube. I just use my fingers to dot on the product and a small brush or sponge to spread out the product and blend in. The formula of this concealer is on the thinner side, making it easy to work with, but it definitely doesn't lack in pigmentation. A small amount goes a long way so I use minimal product to keep my look light and fresh. The finish is natural and not the least bit greasy, though I still apply powder to extend the wear. This is one of those concealers that I apply whether I am wearing foundation, bb cream, or simply want to wear a bit of powder foundation to even out my skintone. It's virtually undetectable and doesn't cake or crease which is a huge selling point! Overall, I'm a huge fan of this concealer. The Bourjois line is really intriguing to me, so stay tuned, I've got more from this brand coming soon! You can find the Bourjois Healthy Mix Correcting Concealer on BeautySpin.com below!